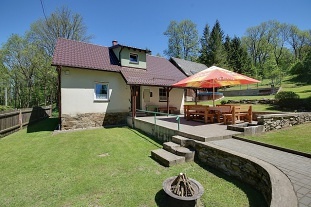 Mountain cottage Stříbrnice - cottage rental. 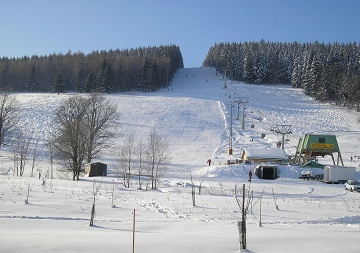 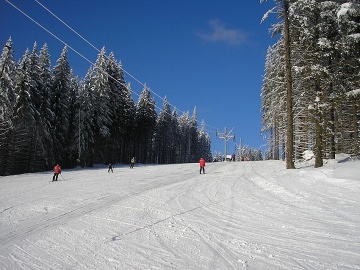 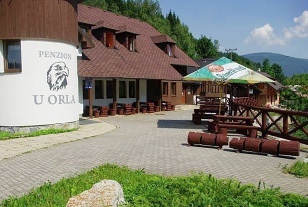 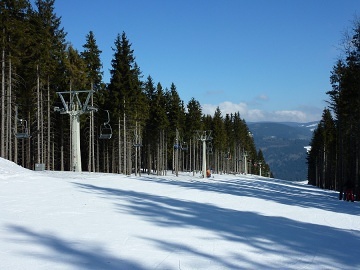 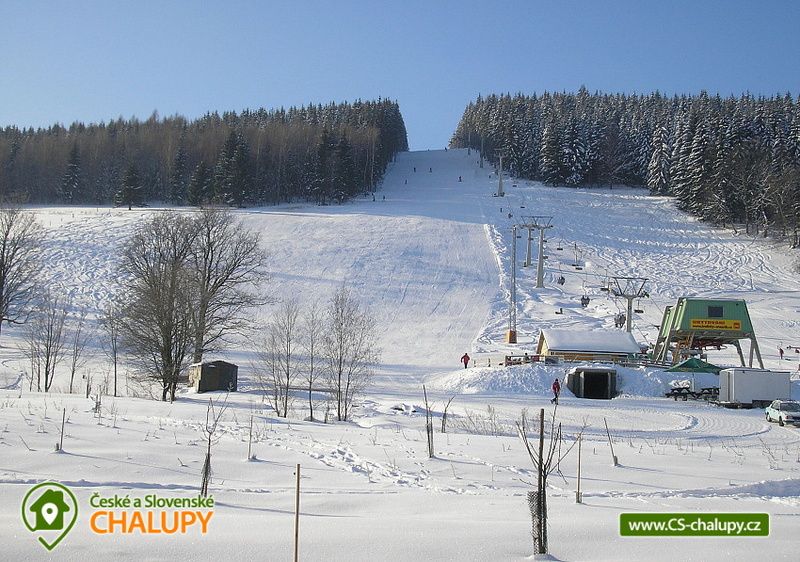 Roubenka located in the immediate vicinity of the ski slope 800 m long and mountain stream at the foot of Králický Sněžník in the small village Stříbrnice, 3 km from the Old Town under Sneznik. 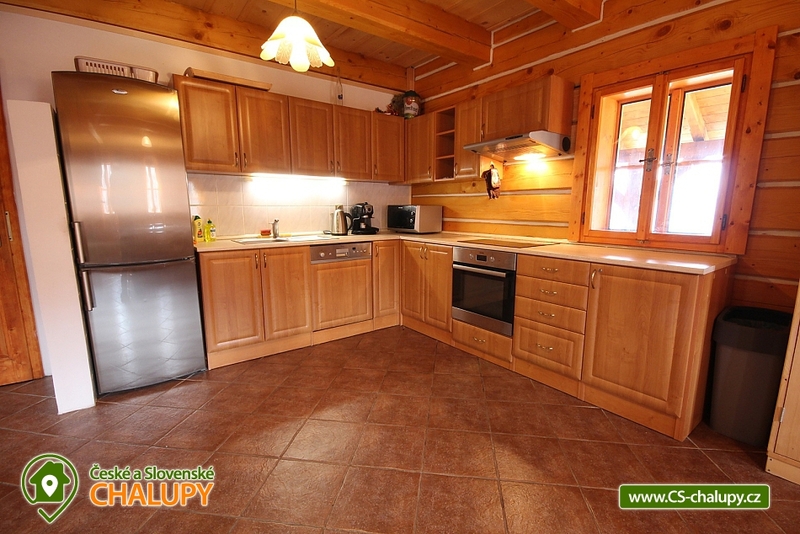 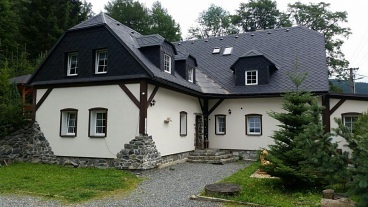 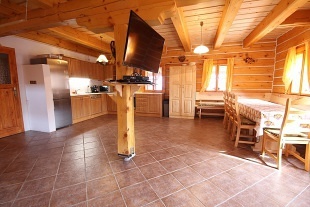 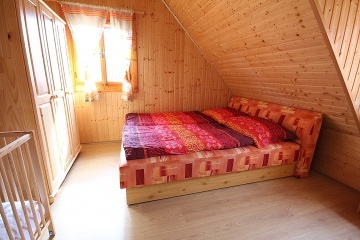 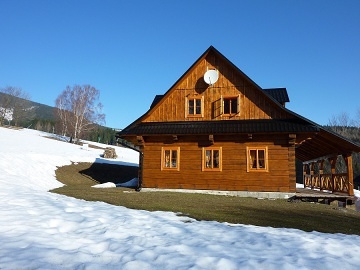 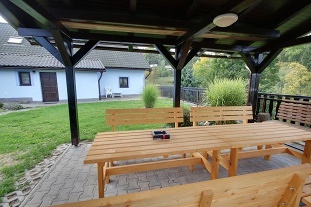 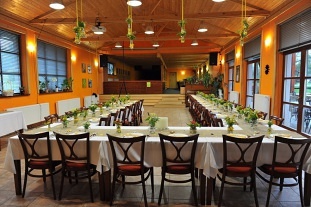 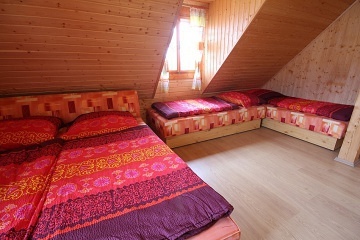 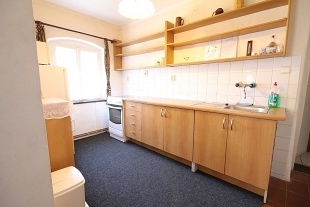 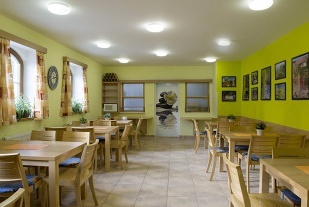 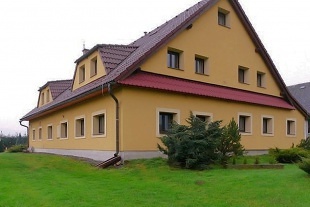 On the ground floor above-standard equipped cottages is fully equipped kitchen (sitting, ceramic hob, electric oven, microwave oven, fridge, coffee maker, dishwasher, kettle and freezer) connected with large common room with tiled stove, Extra beds) and a large LCD satellite TV. 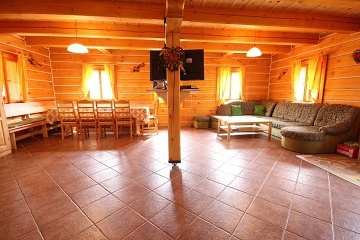 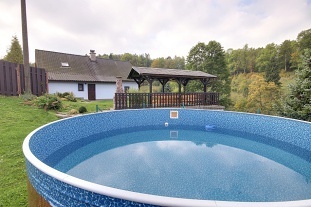 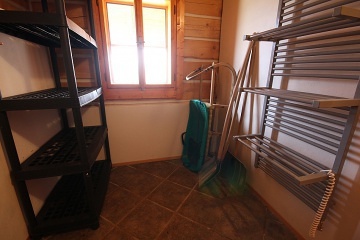 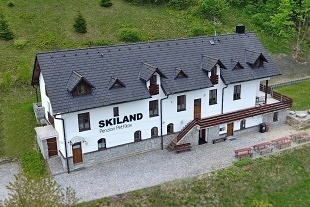 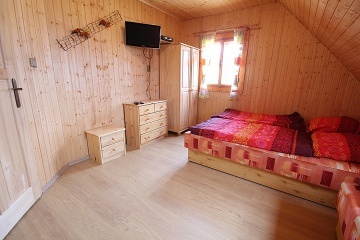 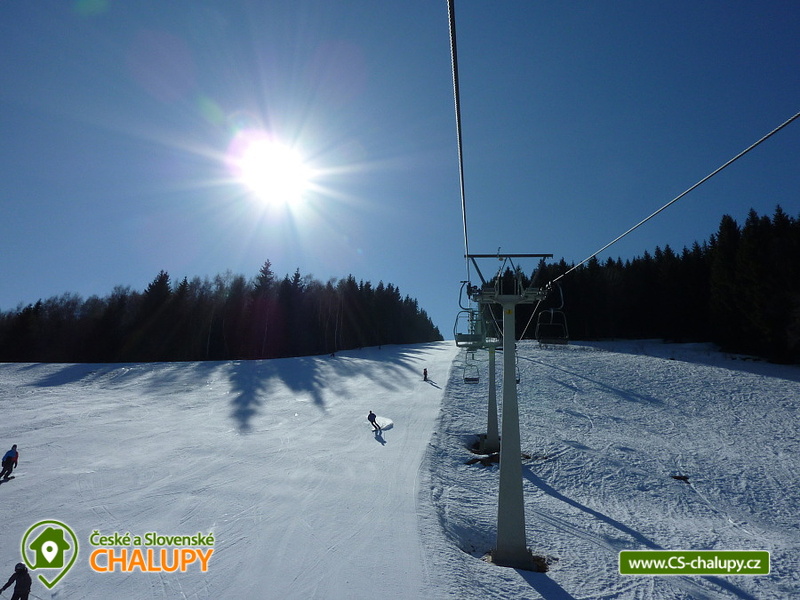 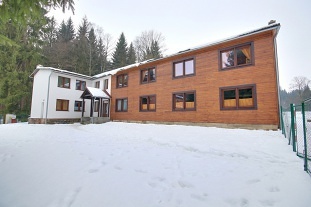 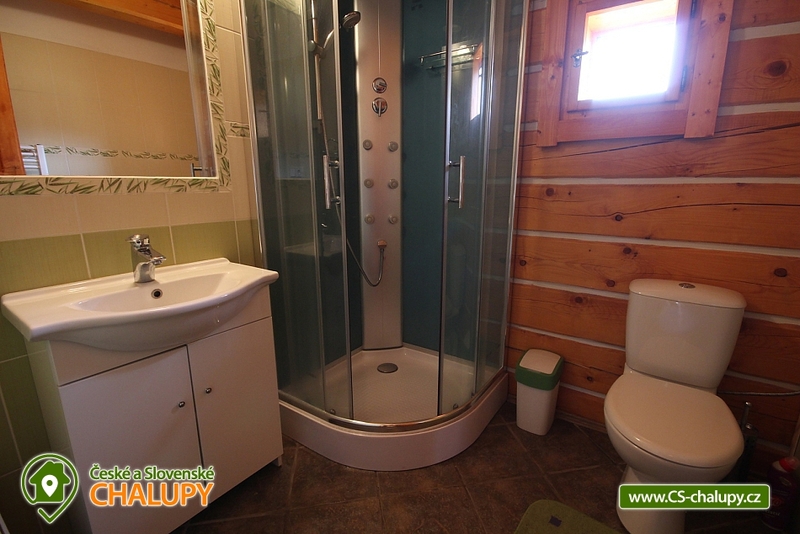 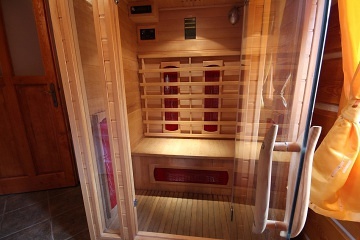 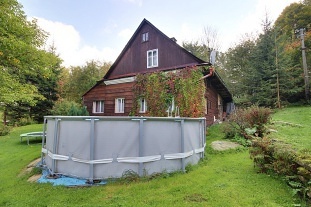 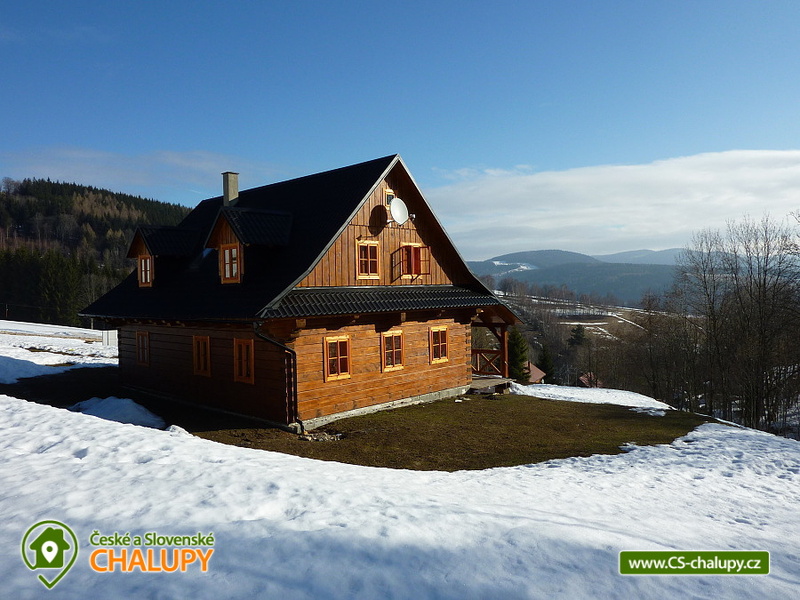 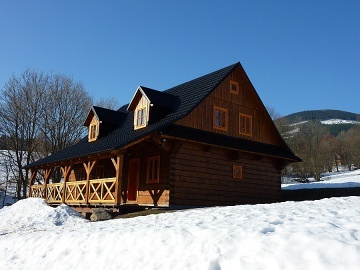 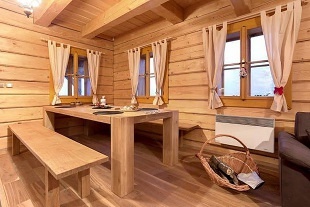 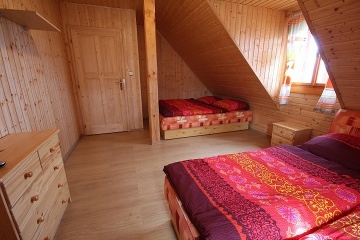 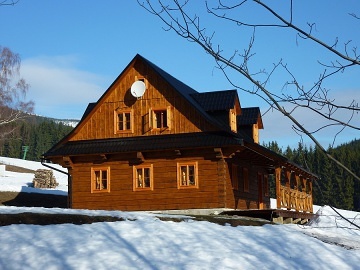 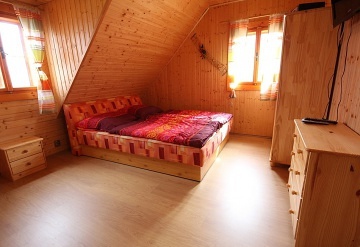 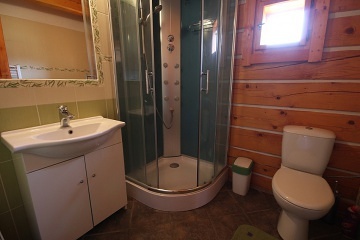 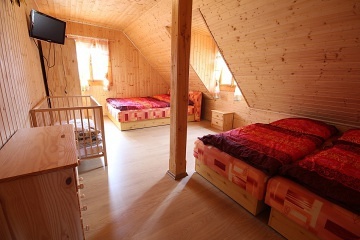 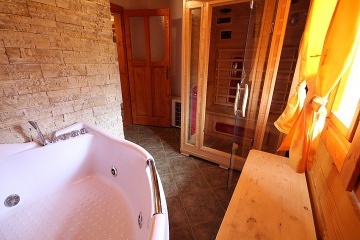 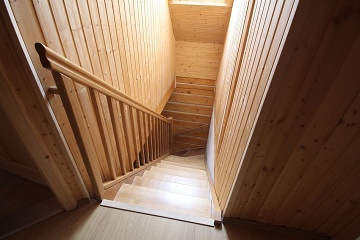 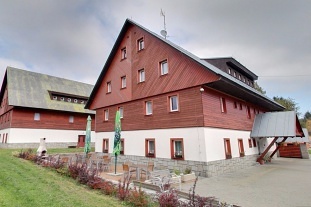 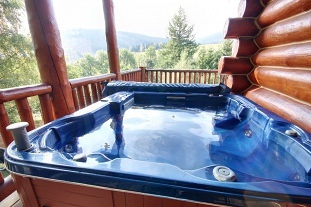 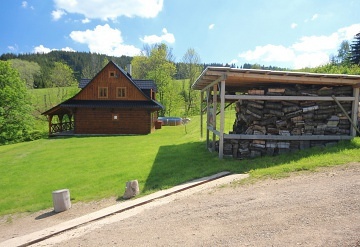 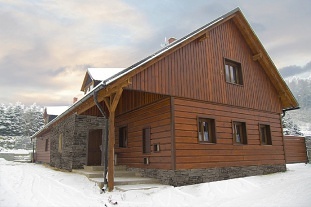 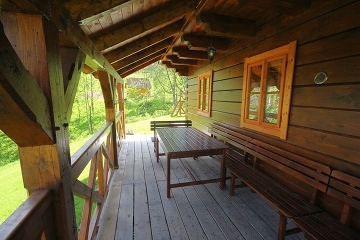 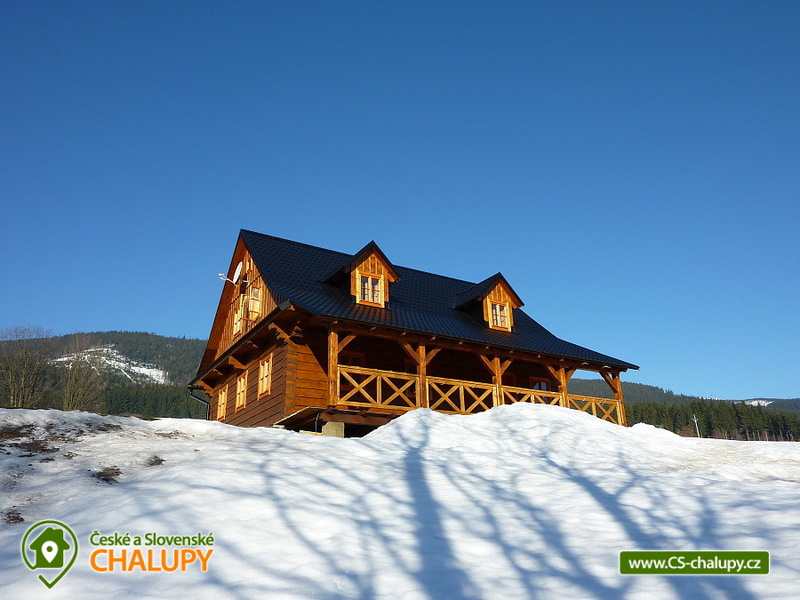 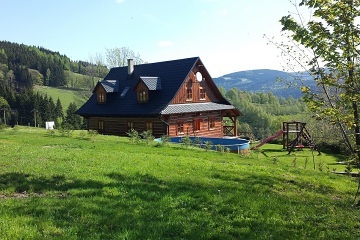 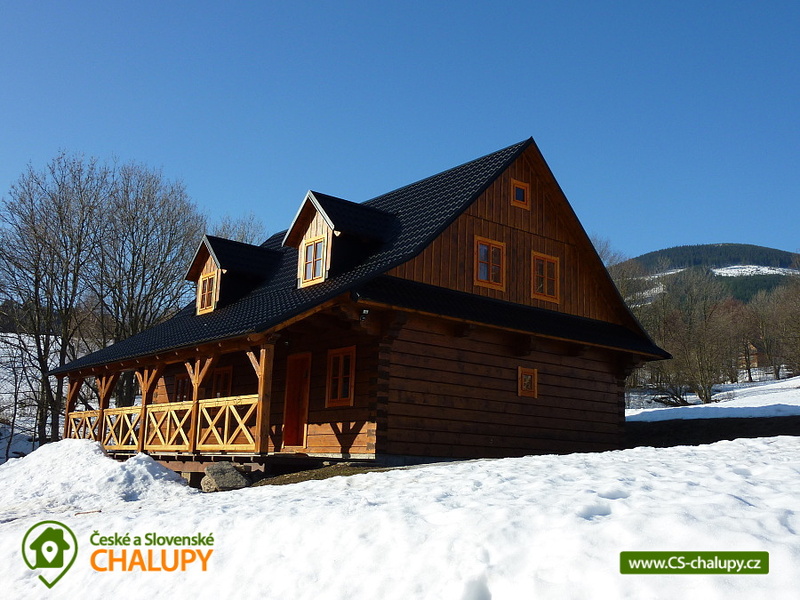 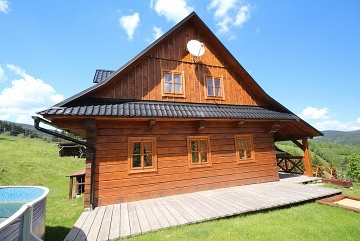 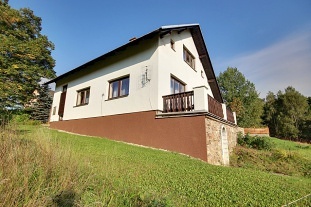 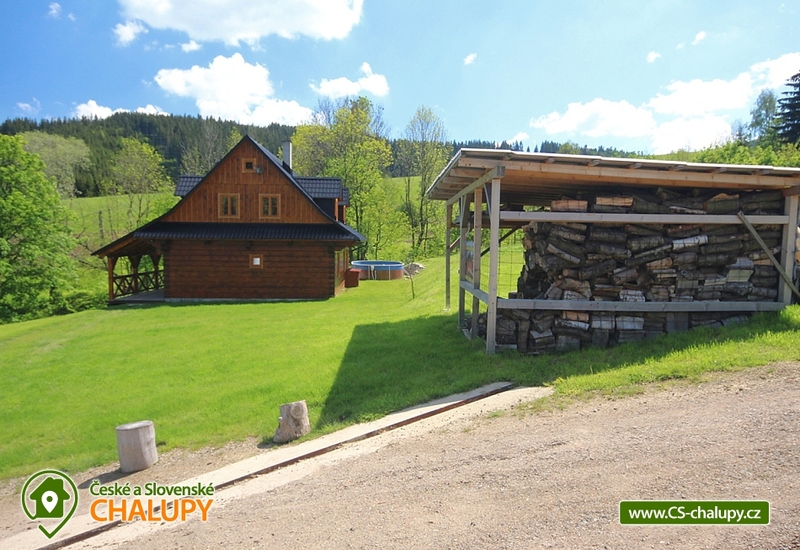 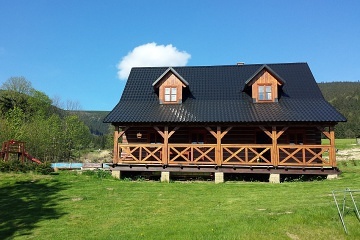 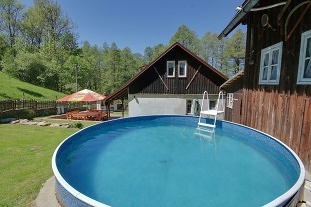 On the ground floor there is also a relaxation room with a sauna and a large hydromassage bath for 2 people, a technical room with the possibility of storage of skis and bikes and a bathroom with hydromassage shower box and toilet. 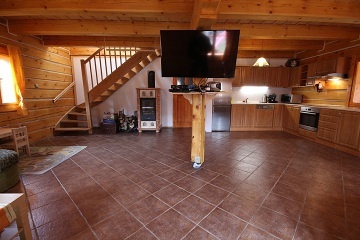 Upstairs there are 3 bedrooms, each with 4 beds and an LCD TV with satellite. 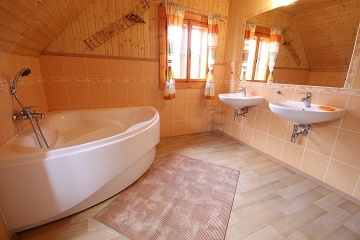 Sanitary facilities on the upper floor include a large bathroom with a corner bath, toilet and 2x washbasin. 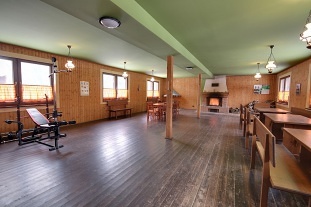 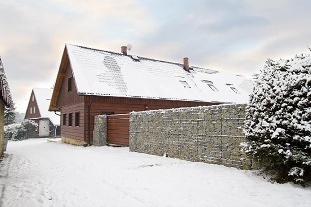 The heating is a tiled stove, it heats the whole building, available directly. 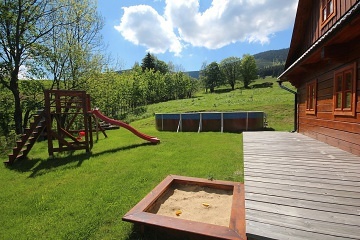 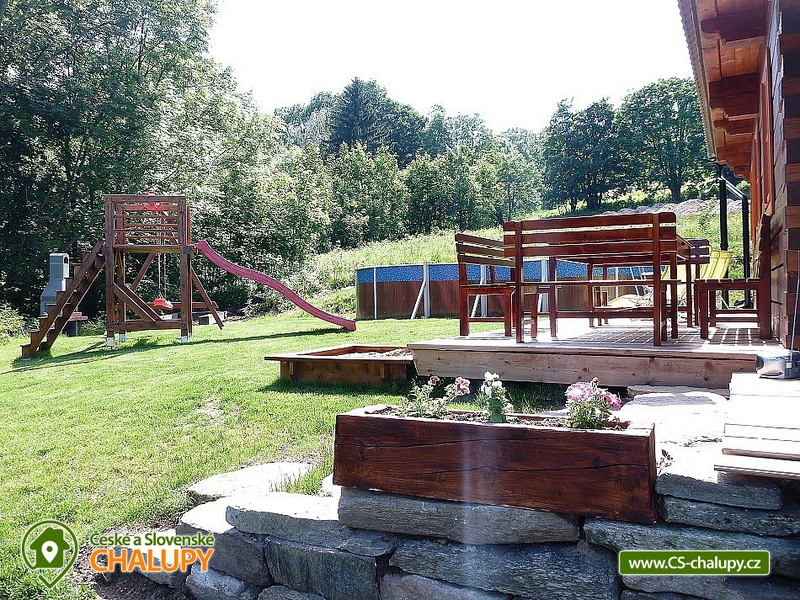 At the cottage there is an 8 x 4 m above sea level pool, 1.2 m deep with solar heating, grill, sandbox, swings, fireplace and outdoor seating on the roofed terrace. 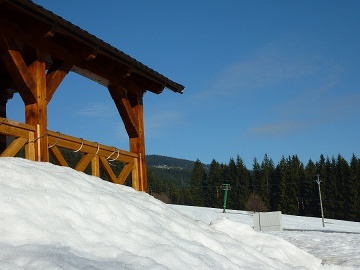 Parking by the house, in the winter months on a 150 m away car park. 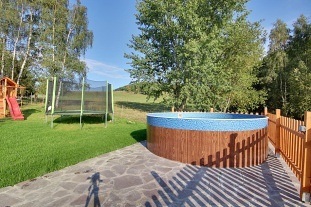 Additional information Povlečení na lůžkoviny nutno vlastní.